Today I would like to share my positive experience of Marta’s meditation this morning. I woke up on this beautiful morning and felt a real sense of positivity. The sun was shining, the house was tidy, I had had a great nights sleep and I felt lucky to be alive (I recently lost my brother to cancer so I have a real sense of my own mortality). So far I have been sticking to the audio meditations, which I have thoroughly enjoyed and found deeply relaxing, but today I felt inspired. I thought I would push myself to the next level and try Marta’s Day 7 Movement and Meditation. I am very glad I did and here’s why. My body feels energised. The stretching element meant that I really felt all the different muscles and bones in my body when usually I take them for granted. It has put a spring in my step. My head feels clearer. 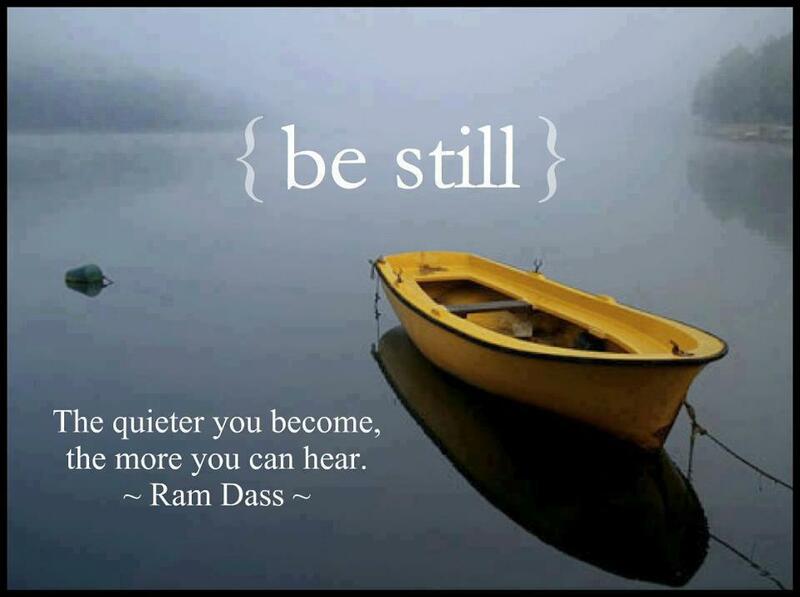 Focussing on the pause at the end of my exhale gave me a remarkable feeling of peace and clarity. Again, my breathing is something I take for granted every day. It has made me more productive and decisive. My heart feels grateful. Marta encouraging me to appreciate my body and focus on it being just how I want it to be today gave me a renewed sense of gratitude for the healthy body I should feel so thankful for. My self esteem feels higher. I feel calmer. Taking 15 minutes out of my day to really centre myself and focus my mind relaxed me completely and I am now finding it easier to shift my focus from negative to positive. I am putting things into perspective. Marta encouraging me to observe myself and my breathing as if from the outside looking in has helped me to detach myself from stressful events that have taken place during my day already. I am taking a step back and being less reactive. As I finished the meditation I whispered ‘wow!’. That just sums it up completely really. During and after the mediation I felt great. I admit before I started the 21 Day Toolkit I was sceptical about doing the mediations as I just didn’t see myself as the meditation type and I was unsure what the benefits would be. Today I proved myself wrong and I will definitely be setting my alarm clock 15 minutes earlier tomorrow to enable me to enjoy the benefits of Marta’s Day 8 video. I am sure the benefits will be cumulative and my overall wellbeing will continue to improve over time the more I carry out the meditations. Thank you Rachel for such beautiful post. I am so glad to hear you discovered something extraordinary about yourself today! There is a lot to be said for being kind, curious and attentive to our own body, our own breath and our very own mind. And especially when we think of ourselves a certain way, i.e: being a certain type who does things, or does not, by trying something new, we can genuinely surprise ourselves a lot. In those meditations we first pay attention to the body, then we watch the breath, and then we travel a little deeper. By using the gentle movement and stretches before meditation, we create greater connection with that part of us that we observe ever so briefly during meditation; the physical body. It is quite likely that if you let your body move, stretch and open, your mind will move, stretch and open a little more in your meditation too. I hope you embrace that new, pretty amazing discovery. Really looking forward to hear about your fascinating observations. Thank you for sharing your thoughts, Rachel. Hi Rachel. ‘Wow indeed’. Great post. I too would never have thought of myself as a meditation person but I’ve given it a go. And actually I do find myself calmer, less stressed and more able to deal with whatever the day throws at me. Now all I need to do is somehow get myself in the habit of doing it them everyday. You’ve inspired me to set my alarm clock earlier tomorrow. You doing so much, I really admire you. Will have to put my mind to it and start meditating whilst playing the fiddle. It difficult to put so much into one day. Best of luck to all, Catherine, Sally and Tim. Just reading Rachel’s post while the sun is bursting into my bedroom I found the combination of experiences amazingly calming, thanks Happiness Hub and Rachel.